Today marks a big step for the homegrown revolution. 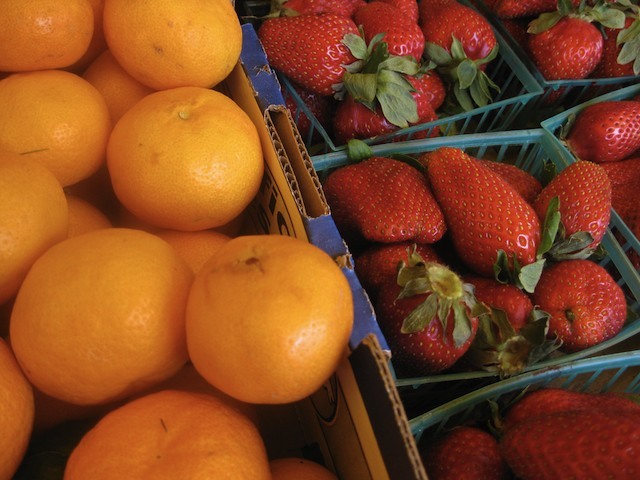 The L.A. City Council unanimously approved a motion that instructs the city attorney to amend an old and ambiguous city ordinance to allow for the on-site use and off-site sale of flowers and fruit grown within city limits. Currently, the simple act of growing them in your backyard with the purpose of selling them is a citable offense. However, vegetables are okay. Before the vote, Council President Eric Garetti stood up and pointed to the City Seal. It features "grapes, oranges and olives, which refer to the agricultural roots that made Los Angeles great," he said. "In fact... we were the number one wine producing county in America until we outlawed grape growing in the early, I think, 20th century and kind of never went back. Although it is now legal to grow grapes and make wine again, in case you&apos;re wondering and you&apos;re in Los Angeles." Garcetti says last year he grew 80% of his own produce at his Echo Park home. "There was no better feeling," he said. "Everything tastes better when you pull it from the ground and you didn&apos;t have go to the market to find something. You just go out to the garden to see what&apos;s growing and blossoming." The law will good for green space, carbon reduction and local farmers markets, he said. "It has the potential to really create economic benefits for local sustainable jobs." The ordinance should take about a week to be written. It will then come back to the Council for approval.